Shawn Colvin had a lot of great songs, but, sadly, none about a girl named Shawn, as I lamented many years ago. But, since we share the same (weird) first name, I've always felt a kinship regardless. She added author to her singer/songwriter title with Diamond in the Rough. I enjoyed the book, and I collected all of the music she mentioned in the book (including her own) in this Spotify playlist. Enjoy! "I cannot remember a time when I was not in love with them - with the books themselves, cover and binding and the paper they were printed on, with their smell and their weight and with their possession in my arms, captured and carried off to myself." 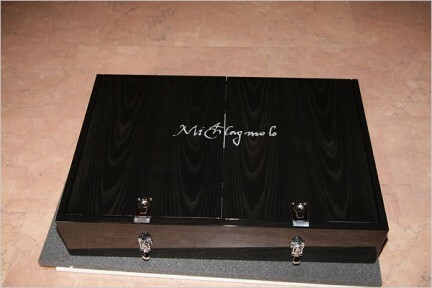 The book is filled with photographs of Michelangelo's drawings and sculptures. The text is by Michelangelo biographer Giorgio Vasari, with essays by the director of the Vatican Museums, Antonio Paolucci. 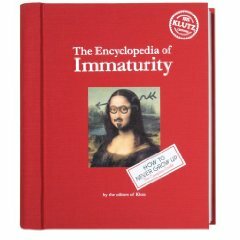 Now you won't have to grow up, with The Encyclopedia of Immaturity to help. It holds hundreds of crazy tricks and goofy ideas for hours of immature fun (and laughter). Learn how to fake a sneeze, how to bounce a doughnut, how to make grass shriek and many other fun feats. In Cherry Bomb: The Ultimate Guide to Becoming a Better Flirt, a Tougher Chick, and a Hotter Girlfriend, and to Living Life Like a Rock Star, Carrie Borzillo-Vrenna compiles lessons for living fast and furiously, addressing topics from hairstyles to hangovers besides essays by iconic bad girls like Dita Von Teese and Joan Jett's Runaways bandmate Cherie Currie. 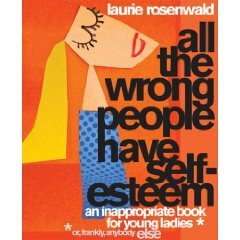 (The title of the book comes from a Runaways song title.) 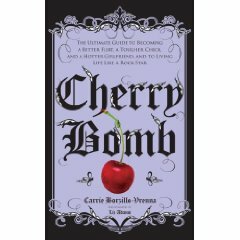 Cherie says the book is written "for the woman...who is not afraid to take chances, or boldly go for what she wants in life, be it a man, a better job, or a backstage pass." Tips on getting inked by Kat Von D.